This week has been a week of working small. 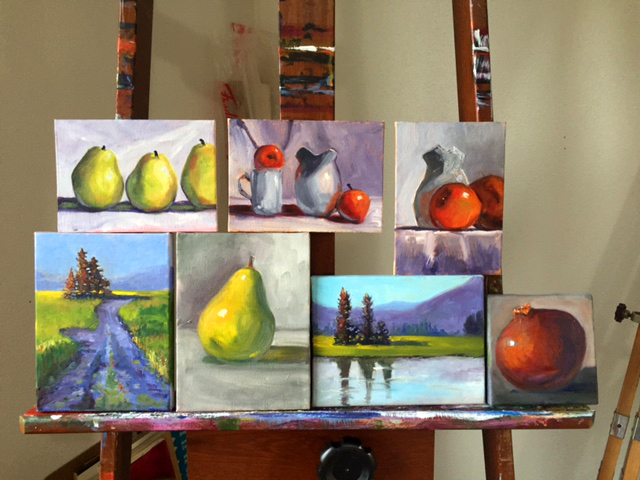 Little still life paintings and small landscapes occupied my easel. My attention was captured by bright apples, pears, and a pomegranate along with imaginary summer scenes. This is a collection of some of this week's creations. As the paint dries, these small impressions will move to my Etsy Shop along with many of my other small format art. Hope you will stop by for a visit.